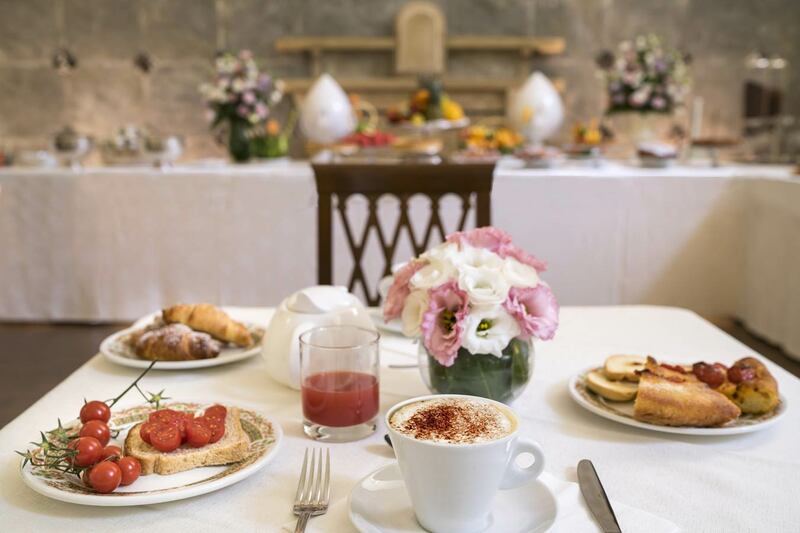 A stay at San Paolo al Convento Hotel is rich in high-quality services. 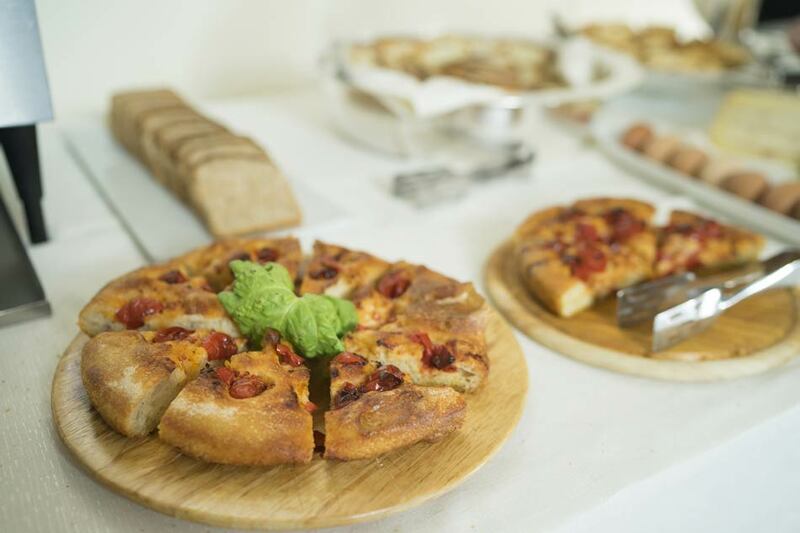 Guests can request gluten-free breakfasts and arrange business meetings with buffets of Apulia-style specialties. 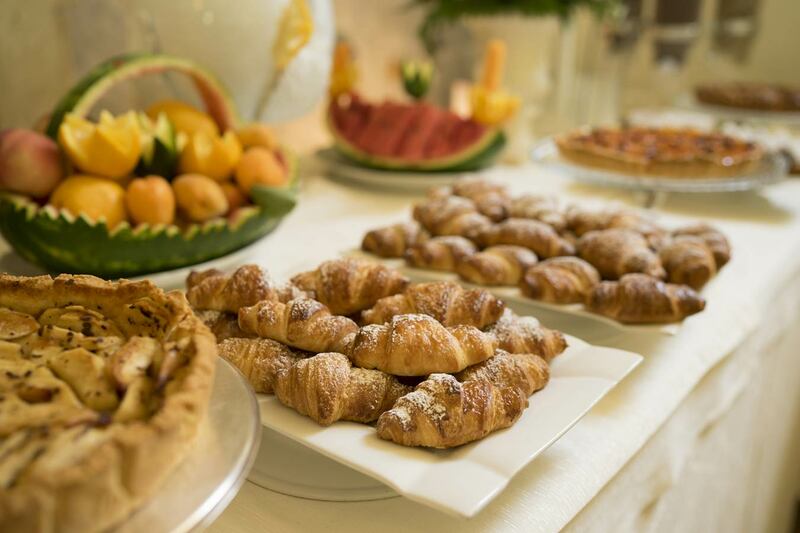 At mornings, our continental breakfast comes with lots of sweet and savory delicacies. 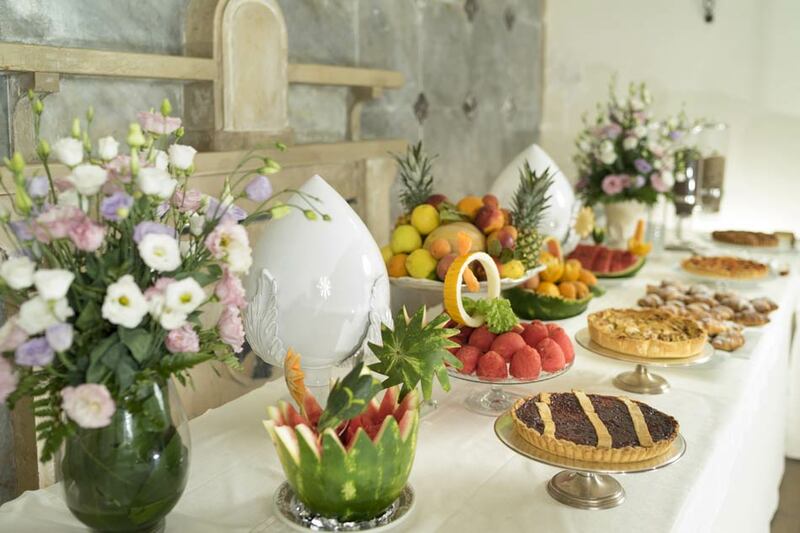 The abundant buffet is served within the former monastery’s small chapel, renovated and conceived as a special location to host the breakfast and restaurant hall. Waking up is a real pleasure: hot coffee and cappuccino, homemade pies, croissants, fresh fruit, honey, nutella, fruit jams, yogurts, cereals as well as ricotta, local cheese, mozzarella, cooked ham, salami, eggs, sausages. All accompanied by soft fresh and toasted bread. On the occasion of conventions, special events or group visits at the hotel, we arrange tasteful and rich buffets suited for up to 200 persons. The breakfast hall is used as restaurant hall including also the space of the adjacent corridor. Our chef only prepares dishes coming from the Apulian tradition prepared with the ultra-fresh ingredients of our region. Inside the hotel is also a bar exclusively reserved to the hotel guests where they can enjoy a few moments of relax while sipping a coffee or a fresh drink. Throughout the summer season it is possible to chill out at our Cloister, an open-air space featuring tables and chairs and designed as a reading corner where you can enjoy a book or spend a few hours of relax and seclusion. Sea lovers will be happy to know that just a few steps from the hotel is a free cliff where they can lie in the sun and dive into the blue and clear water. The first beach of fine sand, featuring parasols and sunbeds, is located only 1,5 km from the hotel: ideal for all who love comfort and relax. 4 kilometers away a further bathing establishment can be found. Our hotel boasts an extremely handy location to set off on a trip to discover the inland and guests can rely on our staff’s car to plan trips across the surroundings.